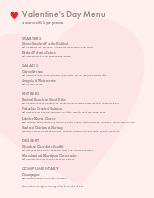 Make the most of one of the biggest restaurant holidays of the year by using one of our gorgeously designed Valentine's Day menu templates! 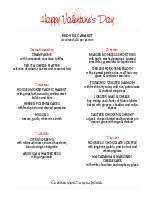 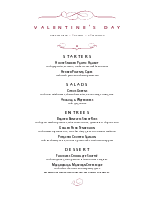 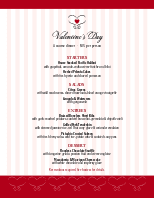 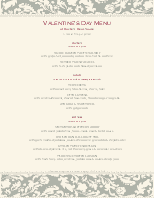 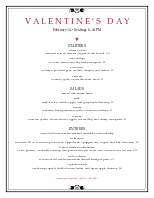 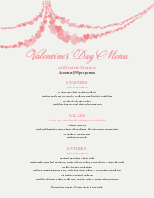 Our Valentine's Day menu templates make it easy to create lasting memories for your customers. 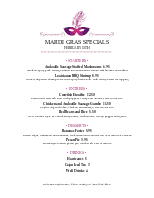 Simply replace the sample wording with your own menu items, change fonts and colors to your taste, and add your own images. 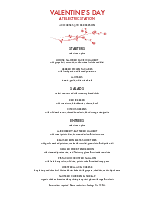 You'll have a designer quality menu in no time.